Oman: Israel’s Door to the Muslim World? On October 25, Israeli Prime Minister (PM) Benjamin Netanyahu became his nation’s third PM to visit the Sultanate of Oman. Netanyahu’s trip to Muscat built on a bilateral relationship that has remained intact, even if quiet, since Omani and Israeli representatives first made unofficial contact in 1993 while at the UN Headquarters in New York. While in the Sultanate, Netanyahu, who was accompanied by the head of the Mossad intelligence agency, his national security adviser, and other senior officials, discussed the Middle East’s stalled peace process with Oman’s leadership. His Majesty Sultan Qaboos accepted Netanyahu to help the Israelis and Palestinians resume talks. His Excellency Yousif bin Alawi, Oman’s Minister Responsible for Foreign Affairs, stressed that Oman is not “mediating” between the Palestinians and Israelis. The Sultanate’s chief diplomat also emphasized that Muscat’s role in the peace process complies with the US administration and is rooted in a belief that Middle Eastern stability depends on the establishment of a Palestinian state. Unquestionably, it is too early to fully realize the outcomes of Netanyahu’s visit to Oman. Yet his trip to Muscat was certainly another indicator of the extent to which Israel-Gulf Cooperation Council (GCC) relations are becoming warmer and more open. Indeed, all GCC states, save Kuwait, have recently shown an interest in moving toward acceptance of the Jewish State despite the Palestinian issue remaining unresolved. 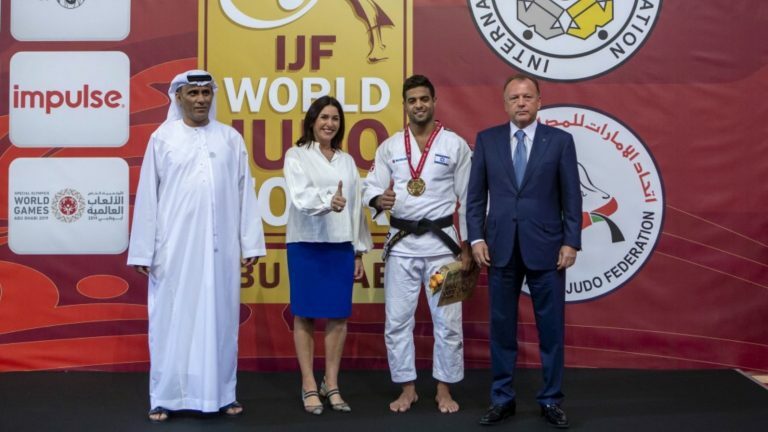 Just this month Doha and Abu Dhabi became the first Arab capitals to witness performances of the Israeli national anthem, “Hatikvah”, and an Israeli athlete won gold in the Judo Grand Competition in the United Arab Emirates (UAE) which Israel’s sports and culture minister attended. In April of this year, Saudi Arabia’s Crown Prince Mohammed bin Salman called on Palestinians to “take the proposals [of the US administration] and agree to come to the negotiations table or shut up and stop complaining”. In 2017, the UAE joined Israel, Greece, the US, and Italy in taking part in the Iniohos 2017 Air Force Exercise. For years Iran has invested in its relationship with Oman across a host of domains from military exercises, to energy and investment, and in the past has leveraged its ties with Muscat to counter Riyadh’s influence over Saudi Arabia’s GCC neighbors. 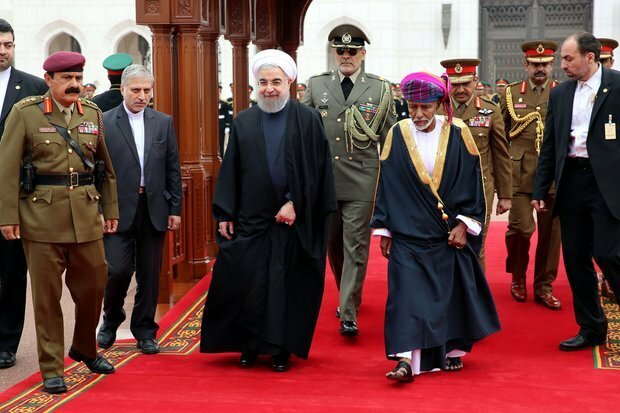 To be sure, the criticism that Oman recently received from certain Arab circles due to Netanyahu’s visit is like the criticism that Muscat received after Iranian President Hassan Rouhani’s visit. In truth, Oman recognizes the need for Arab states to accept both Iran and Israel as extremely important countries in the region. Nevertheless, given that much of Israel’s outreach to GCC states has been heavily shaped by the supposed threat of Iran shared by Tel Aviv, Riyadh, Abu Dhabi, and Manama, it is legitimate to question why Netanyahu came to Oman. Given Muscat’s keenness to avoid joining the US-backed anti-Iranian bandwagon of Arab states, how could Israel’s leadership realistically think to rally Oman on its side with Saudi Arabia and the US against the Islamic Republic? Perhaps Muscat’s historic alliances with the United Kingdom and the United States heavily influence Israel’s view of Oman as a cooperative, moderate, and a pro-Western Arab state. Such a reputation likely prompted Israel to see Muscat as an Arab capital where fertile ground exists for fostering Arab-Israeli dialogue even if Tel Aviv and Muscat’s stances on regional issues, namely Iran’s nuclear program and the Islamic Republic’s regional conduct, diverge greatly. Indeed, Sultan Qaboos’ goodwill in Israel dates back to the 1970s when Oman, Sudan, and Somalia were the only Arab League members that did not support isolating Cairo from the Arab fold after Egypt became the first Arab state to sign a peace treaty with Israel. By 1994 Oman made a bold move in becoming the first Arab Gulf state to be visited by an Israeli PM, which occurred in December of that year after Israeli delegations made visits to the Sultanate eight months earlier for a multinational working group on water security. Yitzhak Rabin’s historic visit to Oman, which lasted less than 24 hours, marked a breakthrough that ended a deadlock in the region. In 1995, Oman sent Alawi to Jerusalem for the funeral of Rabin, whose assassination was strongly condemned by Muscat. 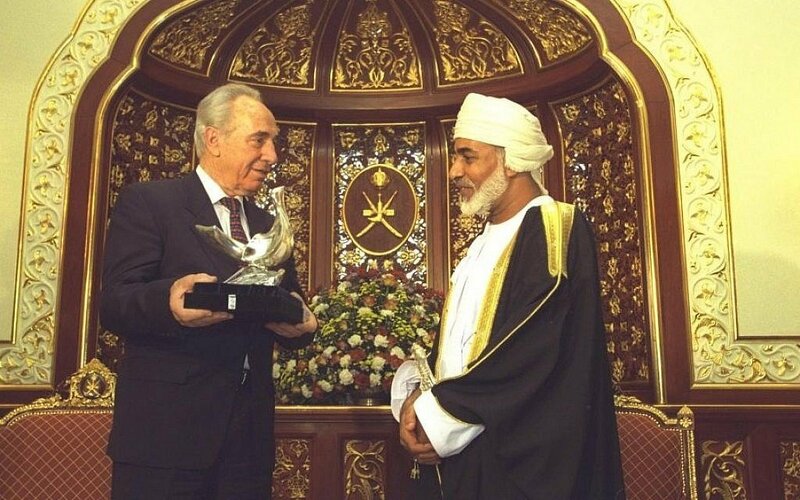 The following year, Rabin’s successor, Shimon Peres, visited Oman and both countries agreed to open an Israeli trade office in the Sultanate, which Omani officials later shut down in response to Palestinian suffering amid the intifada of 2000., As a result of the Israeli leaders’ visits, Oman faced choruses of condemnation from across the Arab world, including from underground movements within the Gulf region. Although Muscat never broke from the ‘GCC consensus’ on the need to continue boycotting Israel, Sultan Qaboos demonstrated that his country would approach questions pertaining to the Jewish State on terms that advanced Oman’s own national interests above the GCC states’ collective agenda. Today Oman is continuing to assert its independence and its sustained role as a “neutral” country keen to help different sides of Middle Eastern conflicts come closer to finding diplomatic solutions. In a region where pursuits of short-term achievements and compliance with ideological trends substantially influence foreign policy decision making, Oman is a uniquely mature state that is focused on promoting long-term stability in the Middle East by avoiding petty diplomatic spats and confrontations. Oman appears to have accepted that the existence of Israel is a permanent reality in the region. Even if not ready to establish official diplomatic relations with Tel Aviv, Muscat’s engagement with Netanyahu’s government is a hopeful sign for greater dialogue. The Omani-Israeli relationship can help GCC members and Israel pursue common interests all while granting the Palestinians support from a country that both backs their struggle and also maintains a close alliance with Washington. This critical dual relationship is one that Palestinian factions could never obtain solely through their Iranian sponsors. At the same time, Oman can potentially serve as a diplomatic platform through which Israel could engage Syria, Iran, and other actors in the region. In recent years, meetings in Oman that have involved Russian, American, Iranian, Syrian, and Saudi diplomats, as well as representatives of various Yemeni factions, highlight the invaluable role that the Sultanate plays in helping advance diplomatic efforts to peacefully resolve the Syrian and Yemeni civil wars. Looking ahead, given the power imbalance between Israelis and Palestinians, Netanyahu’s stated opposition to an independent Palestinian state, and Hamas’ condemnation of Oman’s acceptance of the Israeli Prime Minister in Muscat, the Omani leadership will be challenged to push the Palestinians and Israelis toward productive talks. Yet with the US-led plans for a “Deal of the Century” faltering, Washington can count on the Sultanate to help open doors in a polarized region where a lack of dialogue has held the Middle East back from achieving its potential. As a pragmatic leader, Sultan Qaboos recognizes the countless obstacles that stand in the way of a resolution to the Palestinian-Israeli conflict. 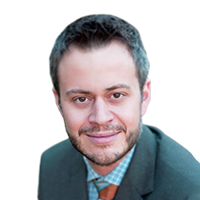 Successful diplomatic initiatives in the Middle East can take many years to come to fruition, and the risks of any progress being reversed by the unleashing of sporadic violence is a constant part of the equation. Yet despite the low probability of any watershed deal being reached in the near-term, especially with the current Israeli government in power, the dangers of inaction are too grave given the potential for a continuation of the conflict to only further fan the flames of extremism in the Middle East. Fortunately, Sultan Qaboos, the Arab world’s most senior leader, remains committed to bold foreign policy initiatives aimed at breaking regional impasses that needlessly drive sustained human suffering and hinder economic development. By Giorgio Cafiero (@GiorgioCafiero) is the CEO of Gulf State Analytics (@GulfStateAnalyt), a Washington, DC-based geopolitical risk consultancy.